At Hulu’s Winter TCA presentation, Hulu presented panels for upcoming drama series "11.22.63" and "The Path," and unveiled details around upcoming original series "Shut Eye." 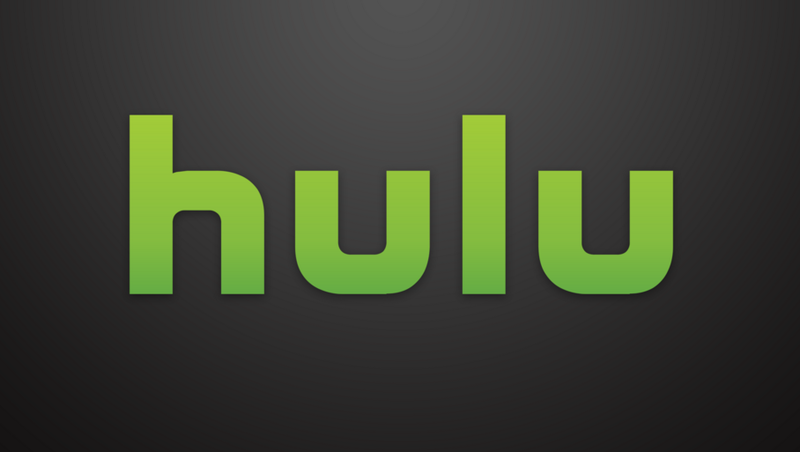 In addition, Hulu announced a new multi-year agreement with Sony that will bring series including "The Shield," "Dawson’s Creek," "Party of Five" and popular movies from the Sony Archive to Hulu over the coming years. The news follows Hulu’s recent announcement of a series order for "CHANCE" and a new deal with A&amp;E Studios for the exclusive streaming rights to all past episodes of the critically-acclaimed series UnReal. Below is a full list of announcements and details around Hulu’s Originals slate. Hulu and Sony announced a new library deal that will add full seasons of fan favorite series and top films from Sony Pictures to Hulu. The multiyear agreement will expand Hulu’s premium content offering by bringing a tremendous line-up of binge-worthy programming to Hulu including all episodes of The Shield, Party Of Five, Dawson’s Creek, Damages and a full list of beloved films from the Sony archives including JERRY MAGUIRE, MIDNIGHT IN PARIS and MY BEST FRIEND’S WEDDING. As part of the deal, Hulu recently made all episodes of the critically-acclaimed series Happy Endings available to subscribers. All series and films acquired through the deal will be available to stream through Hulu’s No Commercial and Limited Commercials subscription plans. Synopsis: 11.22.63 follows JAKE EPPING, an ordinary high school teacher, into a “rabbit hole” that leads back to 1960. His mission – to prevent the assassination of John F. Kennedy. Jake travels back in time, willing to live in the past, in order to solve perhaps the greatest mystery of the 20th century: who killed JFK? And could it have been stopped? But as Jake fights to save Kennedy’s life, he discovers an enemy he never could have expected – the past itself, which doesn’t want to be changed. It will throw anything into Jake’s path to stop him. Crew: The Path comes to Hulu from Universal Television and Jason Katims' True Jack Productions. The show was created by Jessica Goldberg who will write and executive-produce the series, along with Katims and Michelle Lee of True Jack Productions. Synopsis: The Path follows a family at the center of a controversial cult as they struggle with relationships, faith and power. Each episode takes an in-depth look at the gravitational pull of belief and what it means to choose between the life we live and the life we want. Crew: Executive produced by creator/showrunner Les Bohem (Extant, Taken) and Gran Via Productions' Mark Johnson and Melissa Bernstein (Breaking Bad, Halt &amp; Catch Fire, Rectify). Synopsis: Shut Eye takes a darkly comedic look at the underground world of Los Angeles storefront psychics and the organized crime syndicate that runs them. The story revolves around a disgruntled player in the organization who finds his cynical world view challenged when he starts to experience visions that may or may not be real. Crew: Director, Lenny Abrahamson (Room), is attached to executive produce and direct several episodes. Alexandra Cunningham (Desperate Housewives, Prime Suspect) and Kem Nunn, author of Tapping the Source and co-creator of John from Cincinnati, adapted Nunn’s novel and will serve as Executive Producers alongside Michael London (Milk, Trumbo, Sideways) and his Groundswell Productions, Laurie and Abrahamson. Brian Grazer (Empire, A Beautiful Mind) will also Executive Produce. The series comes to Hulu from Fox 21 Television Studios (Homeland, The Americans, People V. OJ Simpson: American Crime Story). Synopsis: Based on the novel by Kem Nunn (Tapping the Source), CHANCE is a provocative psychological thriller that focuses on a forensic neuropsychiatrist who reluctantly gets sucked into a violent and dangerous world of mistaken identity, police corruption and mental illness.